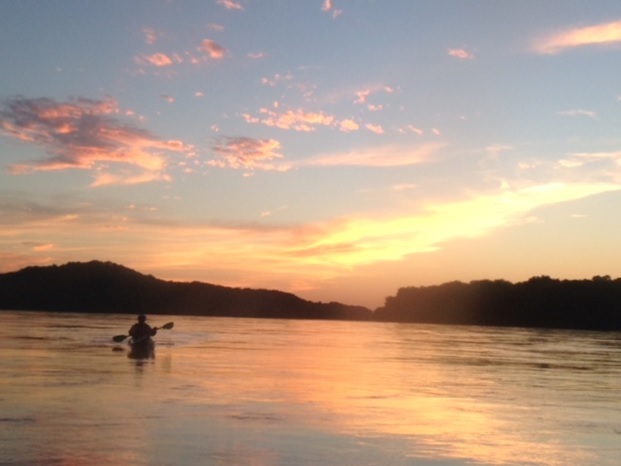 Logan W. Sims is participating again this year in the 11th Annual Missouri American Water MR340 Kayak River Race July 19-22, 2016. Logan has chosen Friends of Kids with Cancer to benefit from his race. The MR340 is a scourching 340 mile endurance Kayak race across the state of Missouri that has to be completed in 88 hours. This is quite an undertaking by Logan and we are asking for your support! Learn more and sponsor "Kayaking for Kids with Cancer" here. Your support by making a donation of any amount would be greatly appreciated. Nothing is too small or large. Remember, all proceeds will help kids with cancer, their siblings and parents keep smiles on their faces and hope in their hearts as they fight this never-ending battle. The Friends of Kids with Cancer Family wants to thank Logan and wish him "Good Luck!" You can follow Logan's journey July 19-22 by clicking here.